has 10 branches in Kansas and Missouri and thousands of surcharge-free ATMs nationwide through its CO-OP network. It offers business savings and checking accounts, lending, payment processing, insurance, and more. 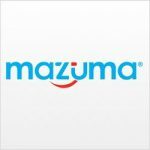 We compiled Mazuma Credit Union reviews and found that it is rated A+ by the BBB and 3.8 stars on Facebook. To be eligible to become a member of Mazuma Credit Union, you must live or work in Jackson, Cass or Clay counties in Missouri or Wyandotte, or Johnson County in Kansas; be a relative of a current Mazuma Member; or be a federal employee or a member of certain employer groups in Kansas City. Ready to get started with Mazuma Credit Union business checking? Apply now. Mazuma Credit Union has two branches in Kansas and eight in Missouri. Its members may also perform banking services from any of the thousand shared branches and surcharge-free ATMs nationwide through its CO-OP network. You may view its branch locator to check which locations are closest to you. Mazuma Credit Union also offers business savings and money market accounts, credit cards, revolving lines of credit, equipment and vehicle financing, commercial real estate loans, SBA funding, and wealth management. Find out more about its small business offerings on its website.